Let me introduce you to Juan Daniel, the young man behind these words. 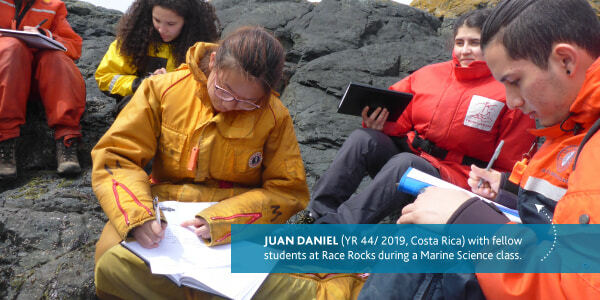 A second-year student at Pearson College UWC from Costa Rica, Juan Daniel is a dreamer with a bias for action. You can take action like Juan Daniel and 600 Pearson College supporters by joining the Sustainer’s Society today! Together this community of donors helps to fund seven full scholarships to Pearson College each year. We recently asked this group of existing donors to increase their support, and within just a few days, they had almost raised the equivalent of half a scholarship in continued monthly gifts. The Sustainer’s Society is the perfect example of taking action and shows Juan Daniel and his peers that when people come together they can make a big difference. Then, check out this video to see one of our students share what the opportunity for a Pearson education means to her!